So, you want to meet next quarter’s sales goals? To gain more clients, focus your efforts on making small changes to your sales and marketing strategy. Minor improvements can lead to significant increases in your lead conversion rates. But first, let me issue a disclaimer. Lead conversion involves a systematic approach. There’s no magic bullet to convert every single lead. If that was the case, sales and marketing teams probably wouldn’t exist. No matter what your sale funnel’s design looks like, your conversion process should include lead nurturing activities that continue to offer great content to your prospects. That content should have them continually saying “yes” for every small action, like free ebook downloads and webinar signups. In other words: You should be conditioning your lead to see your product’s value. So, when it’s time for the “big ask,” the individual won’t hesitate to purchase your product. Before you try any of the strategies below, do the upfront work of learning about your potential customer. That’s why teams create buyer personas. When you’re ready, here’s the checklist that will help you earn more customers. 1. Social media isn’t just for promoting products. There’s proof that social media drives traffic. But what about conversions? More than 50% of B2B marketers have produced leads with social media marketing, and 40% of those who generated leads also earned revenue. Start by creating a sales roadmap that your social media leads will follow. For example, on Twitter, how will your team compel people to take action? Then, how will your sales team know to follow up with the lead? Consumers are always searching for new deals online. So, give the people what they want. 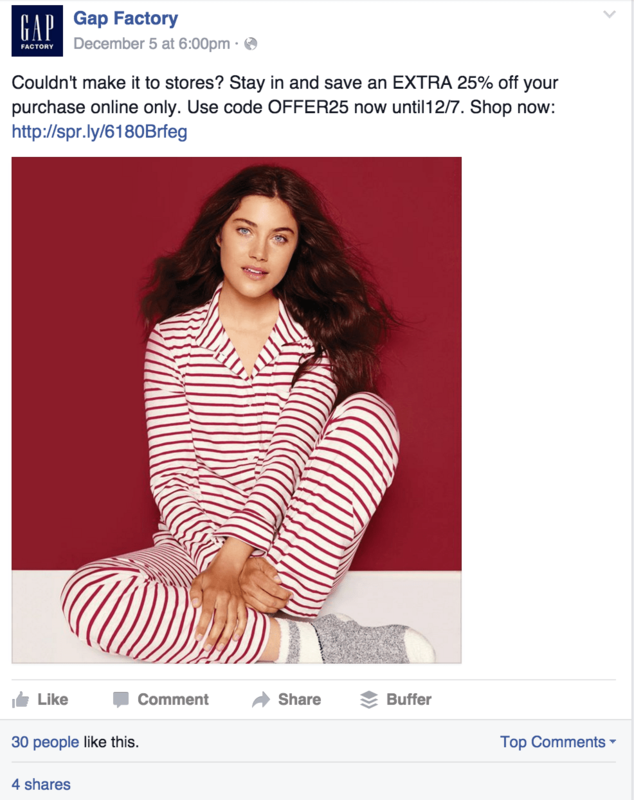 Integrate promo codes into your social media posts. These updates will serve as a proactive way to promote flash sales or entice fans to make quicker purchasing decisions. The GAP Factory uses this technique by offering exclusive deals to online customers. HostGator kicks it up a notch by adding the promo code as a static background image on their Twitter page. This simple, yet effective call to action greets every visitor who lands on their profile. Codes provide a direct way to measure ROI. Every time the promo code is used, you’ll know the source of the conversion. 2. Product videos are the new virtual sales reps.
Over the years, online video has transformed from crappy YouTube shows into multimedia productions, like The #AskGaryVee Show. It’s simple: People prefer watching over reading. Smart brands are turning online broadcasting into a path to showcase their products. For example, Bellroy provides shoppers with product videos of their wallets. Each video demonstrates the features of the wallet and helps customers make an informed decision before purchasing. Product videos spark prospects’ interests and leads them to take additional actions, like signing up for an opt-in. Because of this, they feel like they’ve engaged with your product directly. Video offers personality and mimics the in-person experience by helping build relationships. Plus, it beats reading a product description. Software demo videos work well for SaaS businesses. Instead of boring text, video gives potential clients a snapshot of how the software actually works and how it will benefit them. 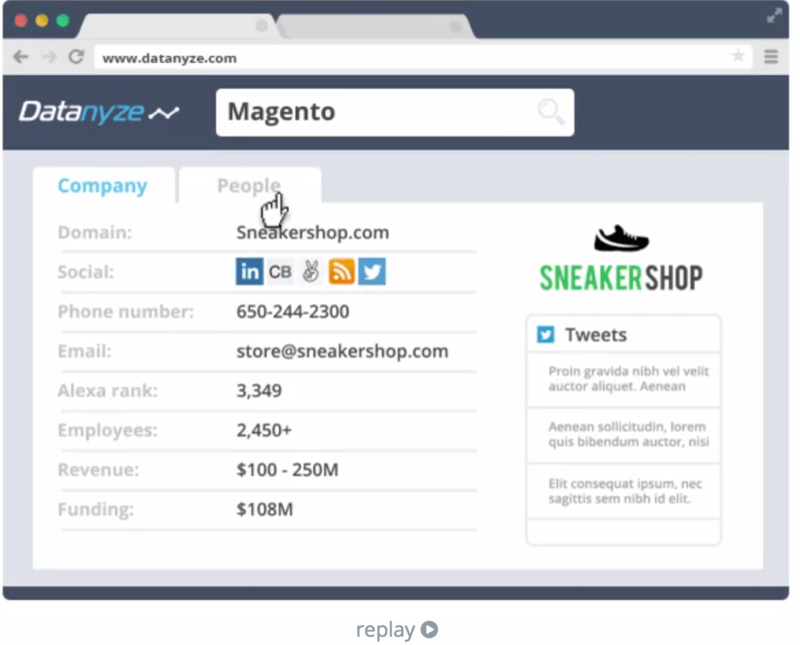 Datanyze, a sales intelligence platform, offers visitors quick clips of how each function of their software works. And it’s conveniently located on their homepage. 3. Social proof validates your brand. Social proof gives your business a credibility boost. And people are more comfortable with businesses that have experience. So, showing off your clients isn’t bragging; it’s a must-have to gain new customers. Project management tool Basecamp encourages new sign-ups by explicitly telling leads exactly how many people started using their software last week. These raw numbers boast the popularity of their services. Ask recognizable brands you’ve worked with if you can add their logo to your website. Select companies that best represent your ideal customer type. The key is to attract new clients with similar needs and impress them with your authority to handle major accounts. Data-driven responses from prior clients will offer more insight on how you actually solved your customer’s problems. For an added bonus, research found that pictures accompanied by text increase the credibility of a statement. 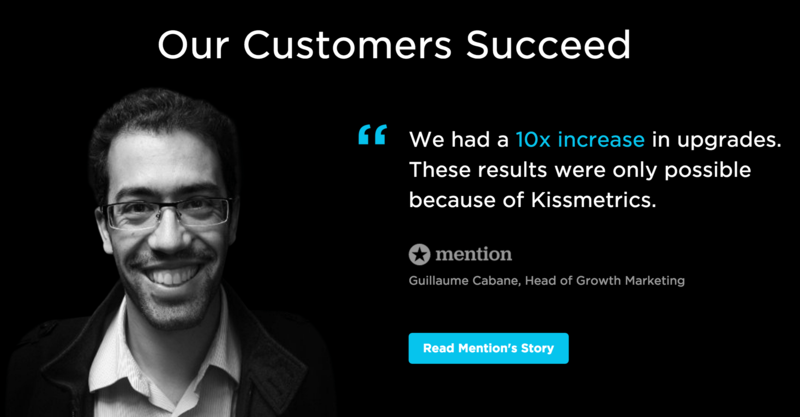 KISSmetrics features endorsements, complete with quotes and pictures. 4. Live chat helps leads buy. Live chat directly helps potential customers by addressing their concerns. Since live chat agents serve as your first-line of customer service, it’s important that you train them. Teach agents everything about your products and services, including where to find solutions within the website. If possible, give them a cheat sheet to improve performance. In addition, remind agents of the importance of soft skills‐politeness, patience, and respect. No one wants to get help from a rude person. To increase chat quality, limit the number of chats per agent. A heavy workload affects the agent’s ability to respond quickly to individual customers. Another strategy is to optimize your live chat pictures. 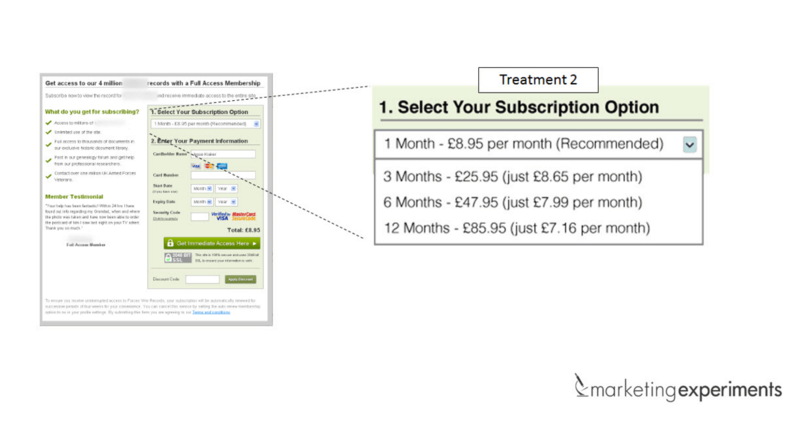 At LeadChat, we use photos that have been tested to increase conversions. The best headshots include friendly and approachable faces with the right amount of professionalism. We source our images from User Interfaces. And don’t miss the opportunity to help your mobile leads. 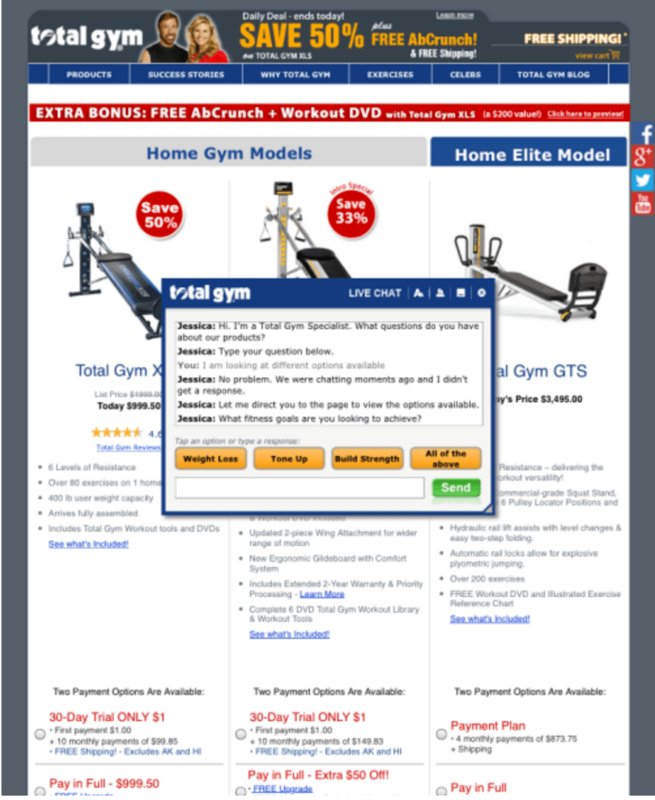 Total Gym experienced a rise in mobile traffic, specifically from tablets. The team needed a solution to make the live chat feature easy to use on a smaller screen. Since it takes longer to type messages on tablets, they tested an optimization with short replies. This helped the customer easily engage with the agent. The quick reply option for their tablet audience yielded a 71% faster response, facilitating a better experience. 5. Email connects leads to quality content. Business leaders “send and receive on average 121 emails a day.” If you want to grab someone’s attention, you will need to get creative. Engage your leads with quality content. Customers desire information that will produce results. Digital marketing strategist Jay Baer suggests giving customers what they actually want, instead of what your company thinks they need. The best way is to create content for every stage of the buyer’s journey. Segmenting your audience ensures every individual is receiving information catered to his or her needs. 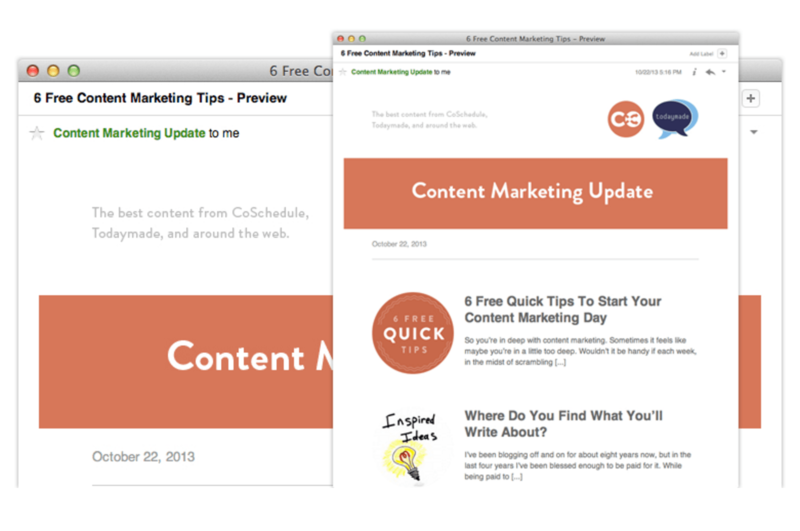 To give helpful information, CoSchedule creates weekly emails that are jam-packed with tips. Cleverly titled “Content Marketing Update,” subscribers receive the best curated articles on the subject matter. To take it a step further, send email reminders to your trial users about your paid subscriptions. It’s a non-intrusive way to nudge them to buy. 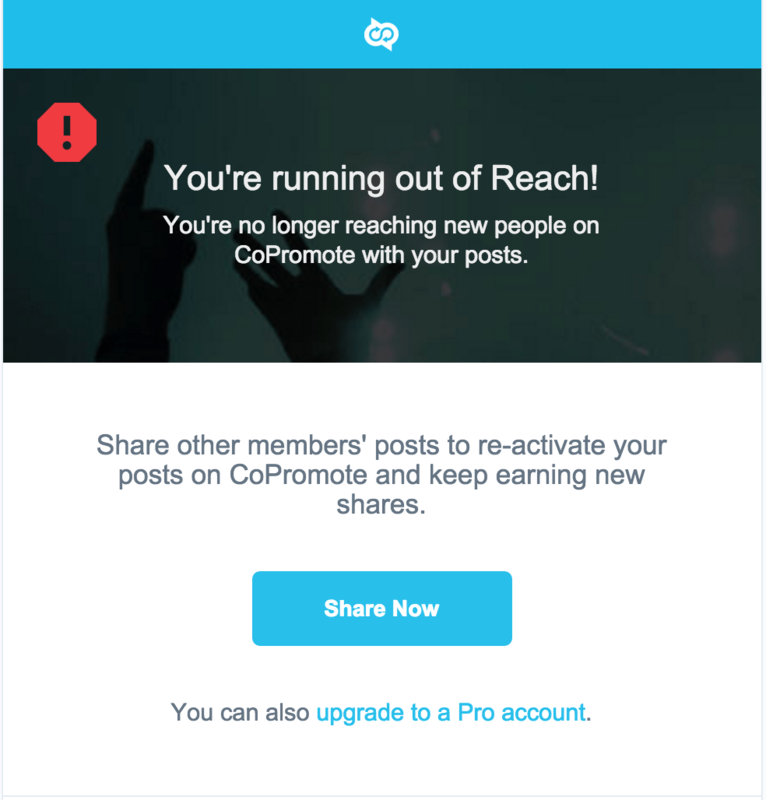 CoPromote sends its trial users emails when they run low on shares. They also offer the option to upgrade to their Pro account as a solution. 6. Lead magnets set higher standards for lead quality. There’s nothing like a good lead magnet to attract more sales-ready prospects. Not only do these leads get pumped through your drip campaign, but you also can demonstrate your authority as a brand. For more qualified leads, ditch the PDF downloads and ebooks. Because people are intrigued to learn more about themselves. Moreover, the self-assessment will uncover more details about your potential customer. In the end, both parties grow from the experience. Hubspot gives leads a free full report about their online marketing efforts. All you have to do is enter your website and email address. Pre-recorded webinars also are a change of pace from the usual lead magnets. KISSmetrics leads the pack when it comes to this technique. With a hub of over 100 webinars, people can watch free webinars. 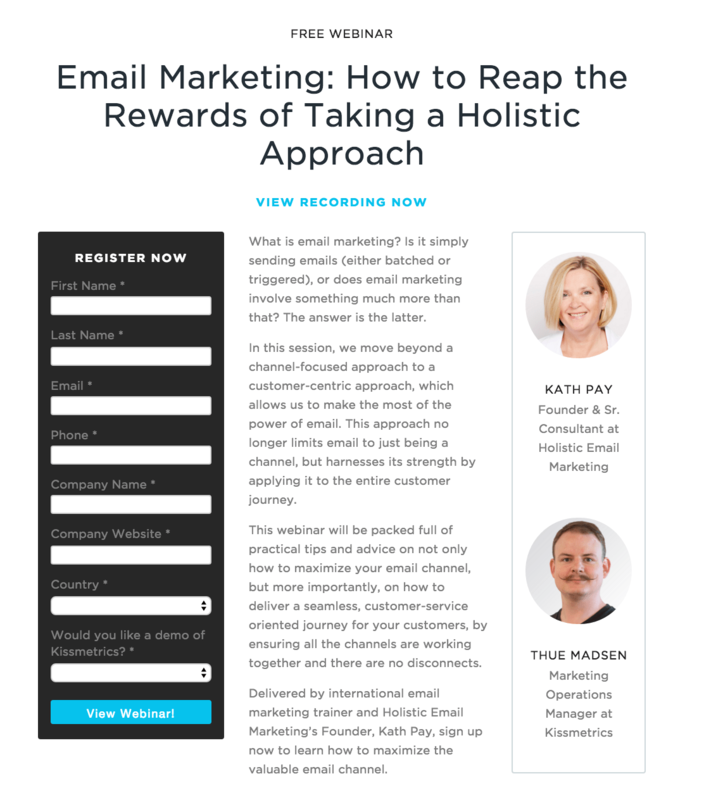 According to an Unbounce report, KISSmetrics earned an “average of $13,000 in highly qualified new opportunities from each webinar they held” by asking for demo sign-ups during the webinar registration process. 7. Slideshares capture the right lead information. 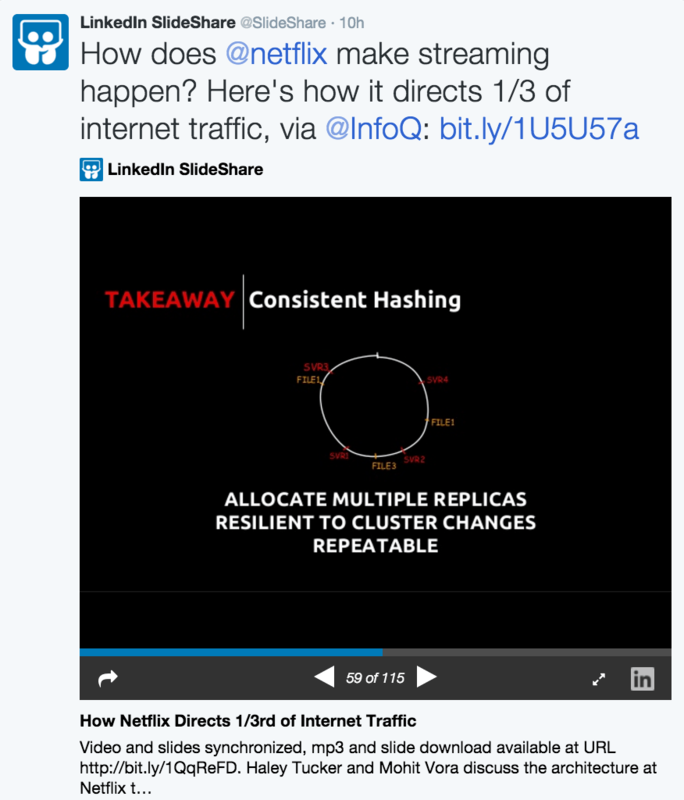 With the help of Slideshare, presentations are now optimized to be a lead entry point. Actively collect leads with their Lead Generation Tool by adding forms to your presentations. 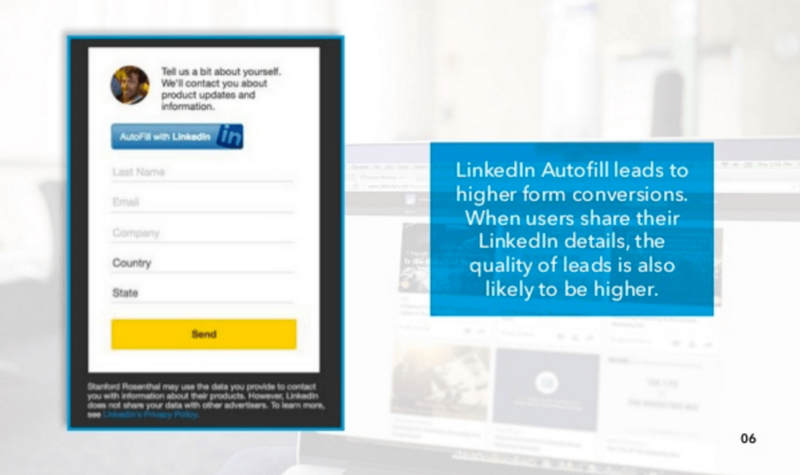 The LinkedIN Autofill also lets viewers fill out the forms using their LinkedIn profile information. This eliminates any errors when prospects compete forms. 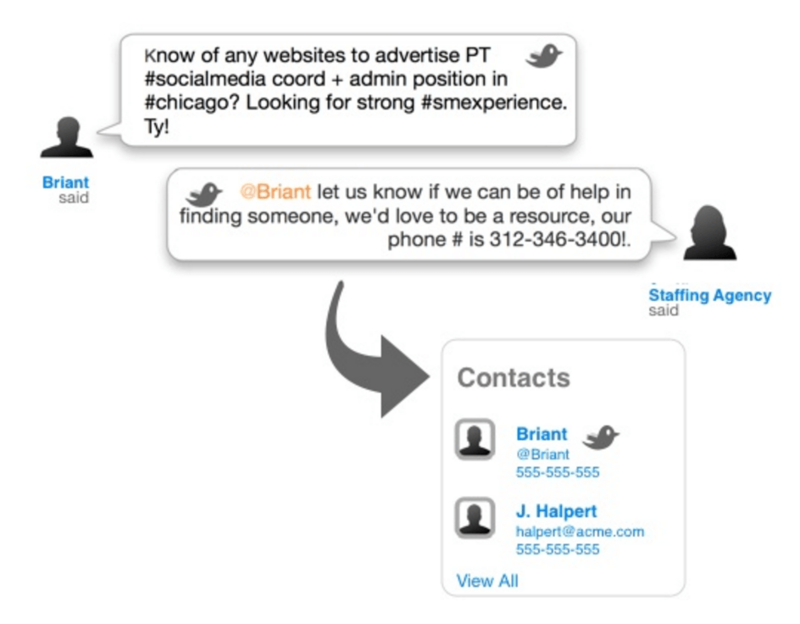 With one simple click, your sales team will receive accurate information to follow-up with the person. If you’re seeking ways to expand the reach of your Slideshares, embed your presentations beyond your website. “Most marketers don’t realize this, but you can embed a presentation in a tweet,” states Kevin Fisher, a SlideShare solutions consultant. 8. Forms initiate the sales process. It’s hard to make sales with no leads in the pipeline. Don’t run away future clients with crappy forms. 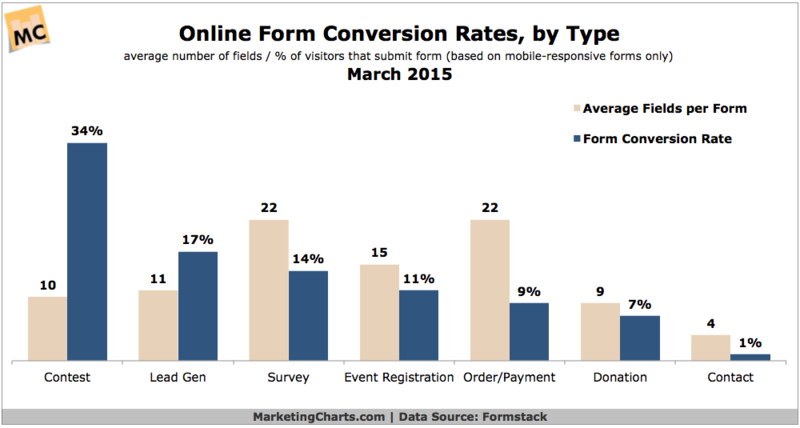 A Formstack’s study found that form conversion rates depend on the type of form, rather than the number of fields in the form. Furthermore, lead generation forms average a conversion rate of 17% with 11 fields. Contest forms outrank all types with the highest conversion rate of 34% with an average of 10 fields. Avoid slowing your users down when giving them several options. To ensure completion of your forms, decide which method works best your company: radio buttons or drop-down menus. Marketing Experiments did a single factor A/B test. 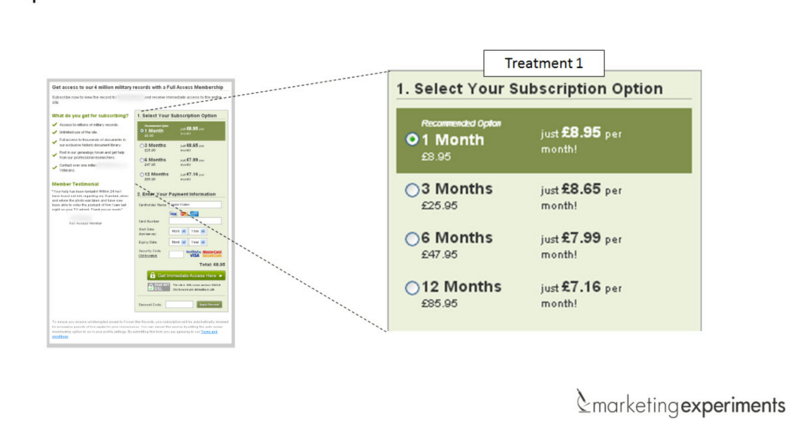 In Treatment 1, the team believed that the length of the radio button layout hindered the increase in signups. Treatment 2 used a dropdown menu with the same options. The result? The radio buttons outperformed the dropdown option with a 15% relative increase in orders. In addition, address privacy issues upfront for hesitant buyers. Giving personal information online is risky for the consumer. Converting leads into customers is a big challenge. However, the techniques above offer a solid foundation to supplement your current strategy. For better results, it’s essential that you understand your lead’s pain points. That way you can tailor these tactics to fit their needs. Improve lead conversions. Increase your revenue.